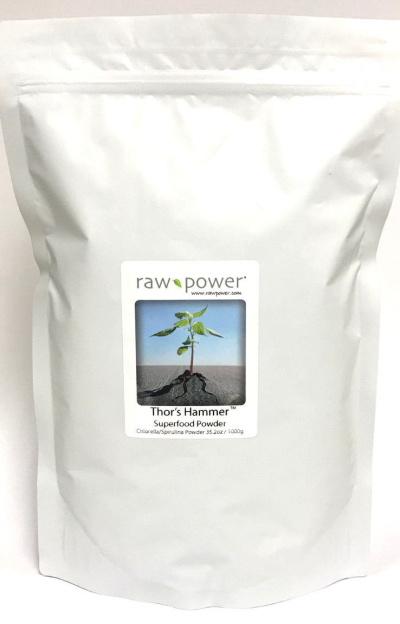 Blend Thor's Hammer Superfood Powder with smoothies, juices, water, food, etc. and enjoy all the nutritional benefits Thor's Hammer (Mjöllnir!) has to offer. 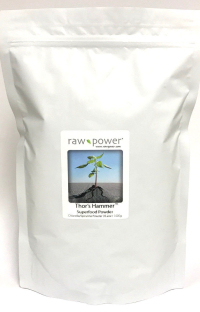 Thor's Hammer Superfood Powder is made from pure chlorella and spirulina grown organically in Taiwan, over 1300 miles from Japan (Fukushima!). Also, it is lab tested for radiation, bacteria and heavy metals twice, once before it is shipped, and again once it arrives here in the USA. This is a low-temperature, cold-processed, truly 100% RAW, organic product. Contains NO fillers, preservatives, or additives.